Originally incorporated as a Joint Venture company with Danfoss Denmark, which ended in 1991, Indfos is India's leading manufacturer of Refrigeration, Air Conditioning, Domestic Appliances and Industrial Controls. Starting with Thermostats for Domestic Refrigerators, Indfos has progressively added a wide variety of controls to its manufacturing range, finding applications in diverse sectors such as Domestic Appliances, Refrigeration & Air Conditioning Plants, Industrial Equipments and Process Industries. Indfos D Series Differential Pressure Switches are produced using technology provided by Dresser Industries USA (ASHCROFT Division). These are sturdy, robust and precise devices for use in process industries. 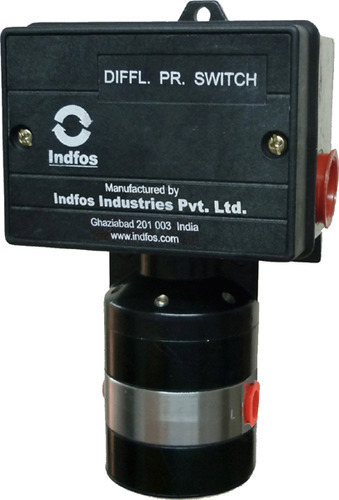 Indfos pressure switch type PS/PSU is a triple pole device, meant to regulate pressure in small air compressors and water pressurization plants. By: Hta Instrumentation (P) Ltd.